Wild amanita muscaria fly agaric mushroom in full bloom. 4k00:13Close up of a poisonous mushroom Amanita in the forest. Selective focus. 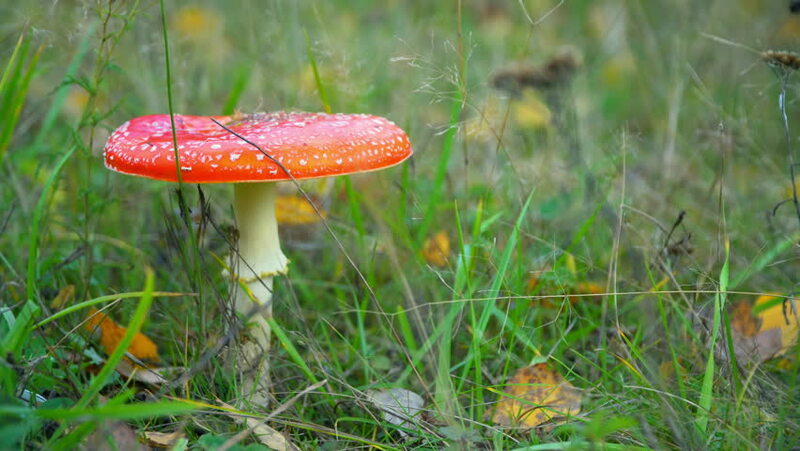 4k00:20SLOW MOTION CLOSE UP: Beautiful red mushroom amanita muscaria growing deep in autumn woods. Poisonous mushroom fly amanita on mossy forest ground in late fall. Big red moushroom on sunny autumn day.